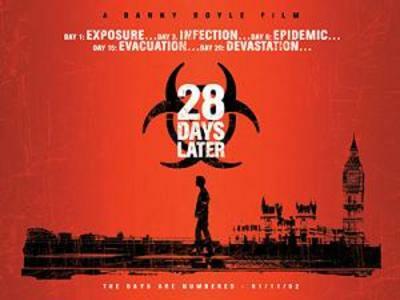 If you watch zombie movies, do you prefer the kind with slow moving zombies, like in the old George Romero films, or fast moving zombies, like in Danny Boyle's 28 Days Later (though it is arguably not technically a zombie movie since the Infected aren't dead) and the Dawn of the Dead remake from 2004? Which kind do you think is scarier or more believable? I would have to go with slow zombies. I find writers have to build more of a story around slow zombies. With fast zombies, it's always the same premise: run, run fast and long and keep running. That can make for a great thriller but it will likely have little substance. I suppose fast zombies are more of a threat, but I can only ever imagine them as slow. Slow zombies are more realistic I think. They are dead, after all! Yes, it does seem to make more sense, insofar as zombies make sense at all. I also prefer the slow ones because there's more time for the fear to build up and the writers can't just rely on things jumping out and scaring you all the time. That being said I did enjoy 28 Days later, which still does plenty of intersting story stuff, compared with World War Z in which there was a lot of showy CGI and comparatively little of the characters actually reacting to the threat.